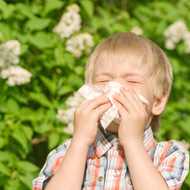 Is your child constantly catching colds? Do you think it may be due to an immune system deficiency? Almost every child experiences a period of recurrent upper respiratory tract infections (URTI). It can occur in the first year of life, but is most likely when the child begins to attend a nursery. A common viral cough lasts up to four weeks in about 10% of ordinary viral URTI. Children with immune deficiencies do not usually have frequent infections, but when they do get an infection, it is severe. These children often need hospital treatment for pneumonia, meningitis, bone or kidney infections. their cough is always associated with pain, wheezing or shortness of breath. At Richmond Practice our GP and paediatrician can assist if you experience these problems. We will assess your child to see if the problem is physical or due to other problems. We will suggest treatment which will help your child to thrive.